We are living in an age of ‘instant’, surrounded by screens and never ending deadlines, sometimes it can be easy to get wrapped up in things and neglect one’s body and mind in doing so. Life can be stressful at the best of times and it’s important to step back and take some time out to relax the mind and pamper the body. I’ve always loved a pamper night in at home, but I feel as if there’s a definite stigma attached to guys ‘pampering’. When women get overwhelmed they often gather the girls for a spa day or even Weekend. Guys on the other hand typically head to the pub to watch the footy or hit the gym. As relaxing as watching United scrape a 1-1 draw at home can be (!) it’s simply not the same as taking an evening out to relax in a hot bath or shower and actually switch off! Inspired by one of the oldest cleansing traditions in the World, Rituals have created the new ‘Hammam’ collection – a range of products designed to calm, relax and soothe the body and the mind. The perfect products for that night in, switching off from the World for your own personal wellness ceremony. A crucial first step for any night in pampering is to switch the mobile to airplane mode, you don’t need any unnecessary distractions. Next up light a few candles and get started on prepping the body and mind. To kick things off run a hot bath or shower and spend 5 minutes or so collecting your thoughts amongst the hot steam. This will help open your pores ready for cleansing. Next up grab the black soap and massage a thick layer into the skin. It contains eucalyptus and nourishing olive oil, suitable for both face and body and perfect for waking up the skin and cleansing away any impurities. Be sure to gently massage for a few minutes, this will help remove any dead skin cells and prepare the body for exfoliation. The black soap leaves you feeling silky soft and the strong smell of eucalyptus is both calming and refreshing. Step two of this traditional cleansing routine is to apply a body scrub and exfoliate. Take a big scoop of the Sea Salt Hot Scrub and massage into your skin in circular movements. 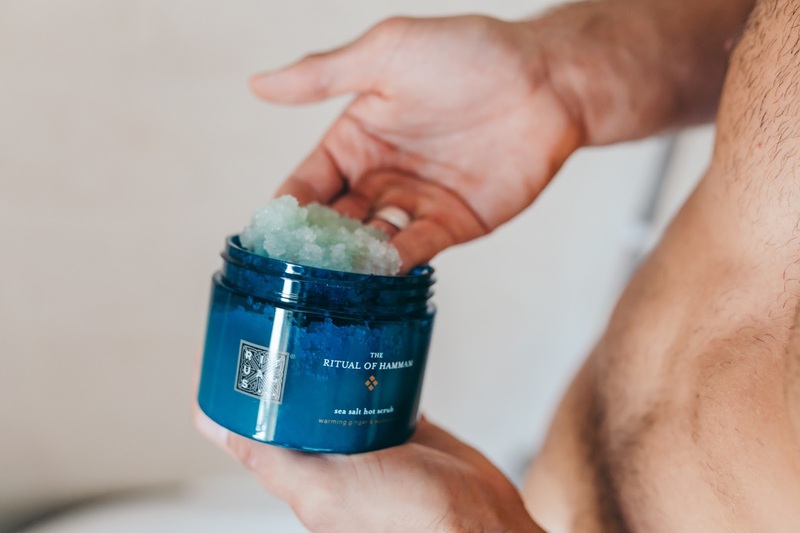 The scrub combines the natural elements of sea salt, warming ginger and eucalyptus and as you massage into the skin the product gradually warms, giving your skin a wonderful tingling feeling. The combination of the warmth of the ginger and refreshing eucalyptus helps aid any muscle soreness and leaves the body feeling ultra zen! I can see myself using this scrub a fair bit during rugby season for post-match recovery and to soothe those muscle aches after a tough game. Be sure to wash away with lukewarm water and a little tip if having a bath is to use a plastic cup or measuring cup (!) to wash away any remaining sea salt grains effectively. Next it’s time to purify the body and mind with Rituals’ purifying body mud. Squeeze out a healthy amount and cover the skin in a thin layer. The inclusion of mineral-rich Rhassoul clay helps purify and polish the skin leaving it feeling soft and clean. Leave on for 2-3 minutes until it’s dried and then rinse off with lukewarm water. This is probably my favourite product from their collection, unique to anything I have tried before, leaving the skin feeling seriously soft. 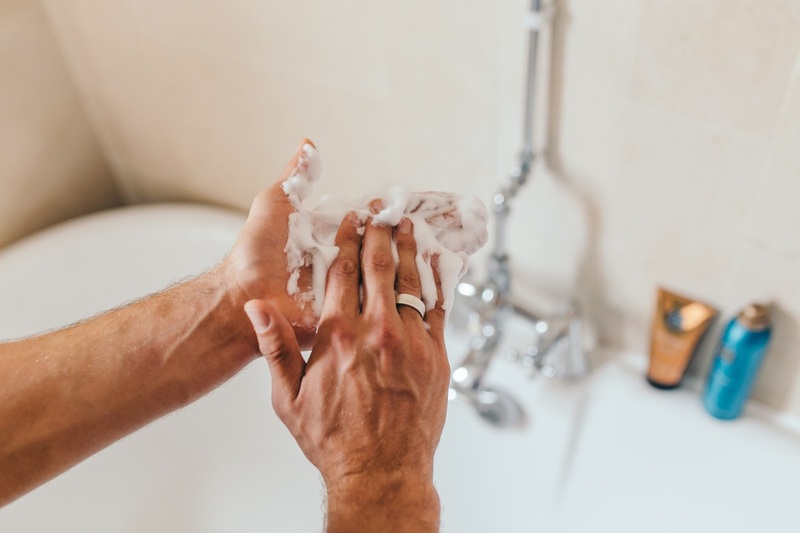 Top tip – after rinsing your skin be sure to then further rinse the bath/shower with the handheld to be sure that any remaining mud is washed away. With your skin well and truly relaxed and purified, it’s time for a deep cleanse. 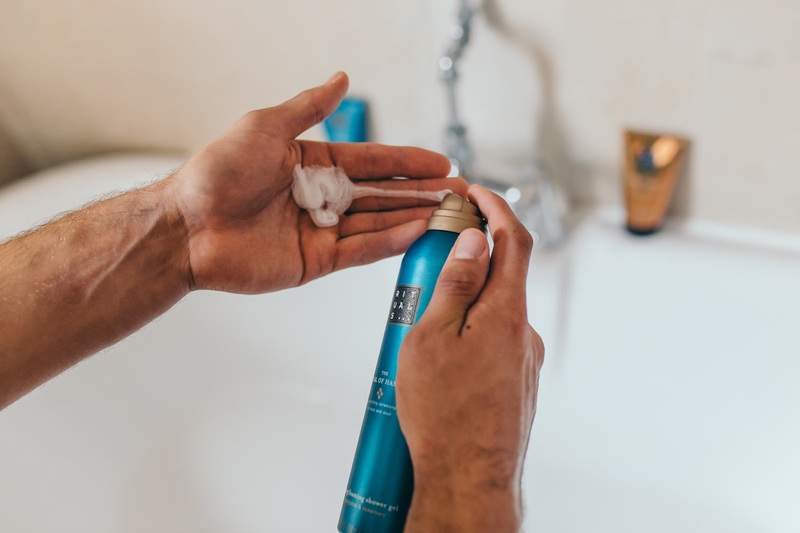 Grab the foaming shower gel and squeeze a small amount into the palm of your hand. The gel will gradually transform into a rich foam as if by magic (!) and at this point massage gently all over. The ingredients include rosemary and eucalyptus, both of which are extremely soothing and revitalising. 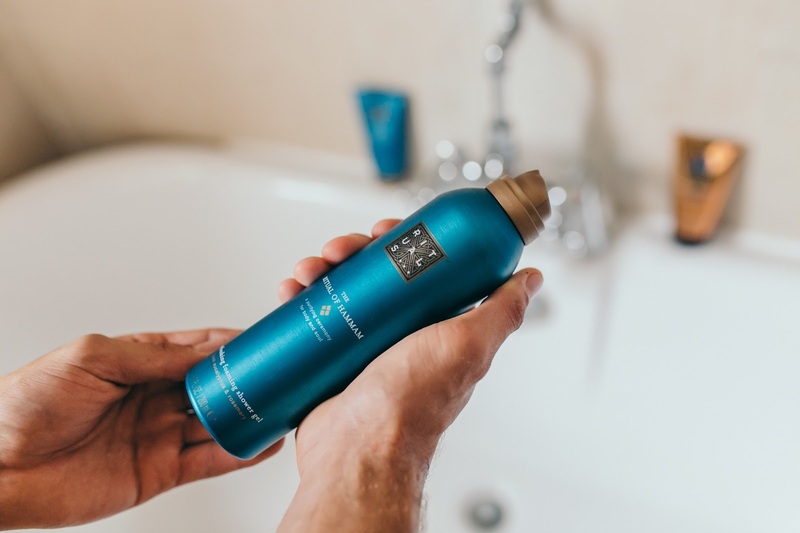 I particularly liked the addition of rosemary which gives the shower gel a fresh and natural aroma alongside the additional benefit of protecting skin cells from damage often caused by the sun. The final and arguably most important step of any pamper routine is to moisturise and ‘feed’ the skin after all that cleansing. 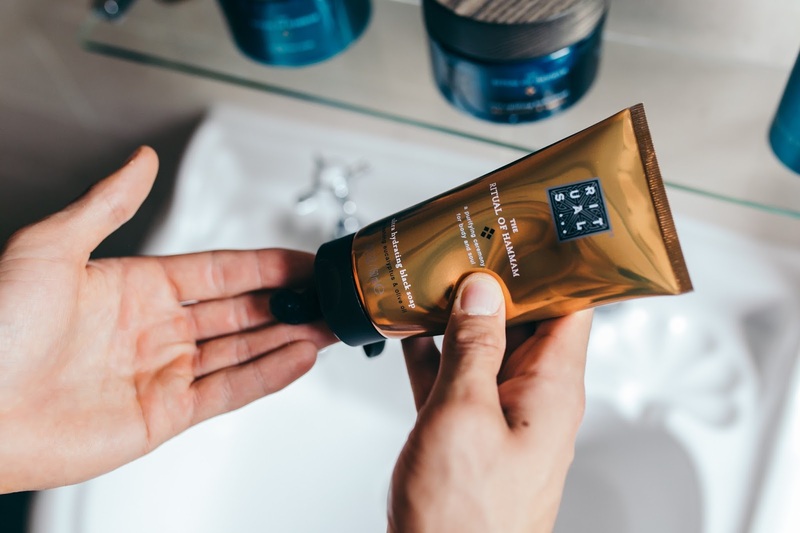 Rituals Hammam Body Cream is the ideal solution to dry skin whether as part of a pamper routine or after a gym workout or warm shower. 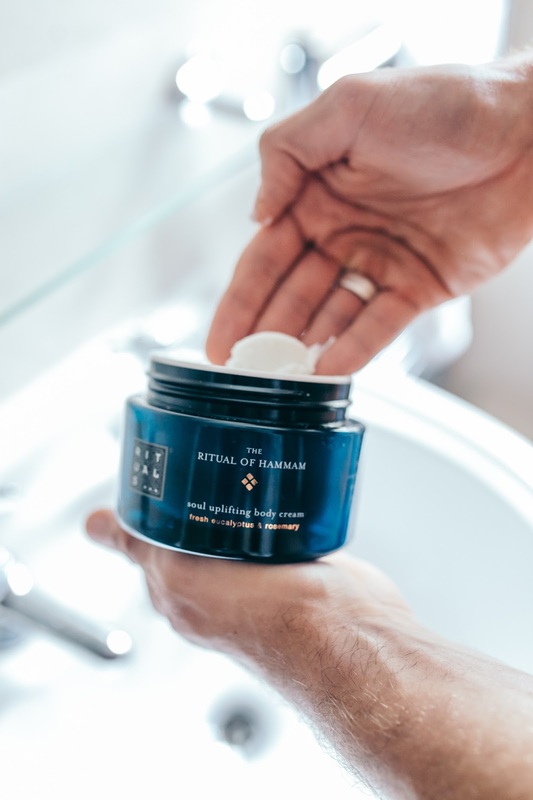 Once again combining rosemary and eucalyptus, the body cream is uplifting and leaves the skin feeling refreshed and soft – it also smells amazing and leaving you feeling as if you may have just transported to a spa or genuine Hammam. 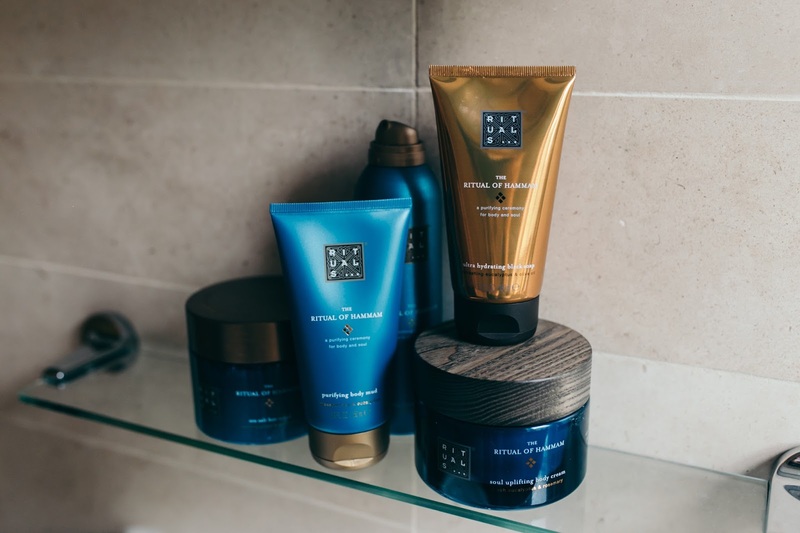 Gently massage the body cream all over your skin and give it a few minutes to sink in and fully absorb before reaching for that dressing gown or those PJs! Now it’s time to sit back and relax, maybe stick on a film or better still, reach for a book and seriously detox. Resist picking up your phone and you will be guaranteed a good night’s sleep. What are your favourite ways to switch off and relax? 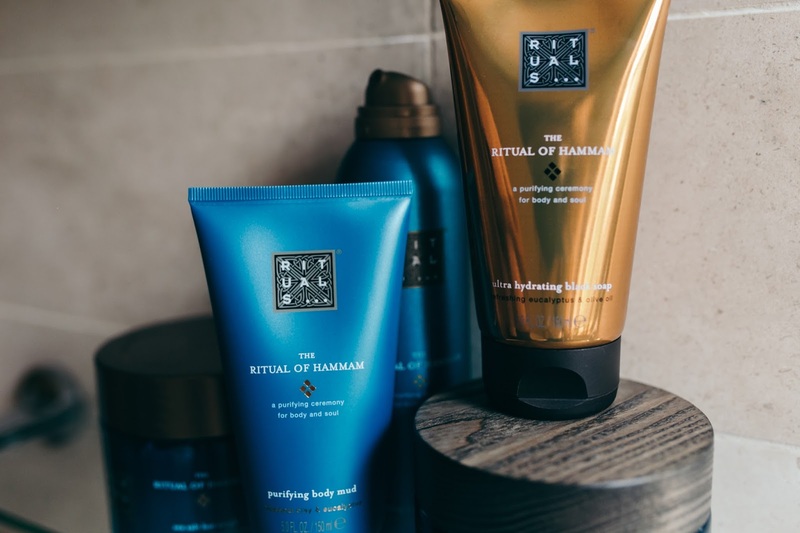 The Rituals Hammam Collection is available in store or online here and it’s well worth checking out the other products they have available for that perfect pamper night in. 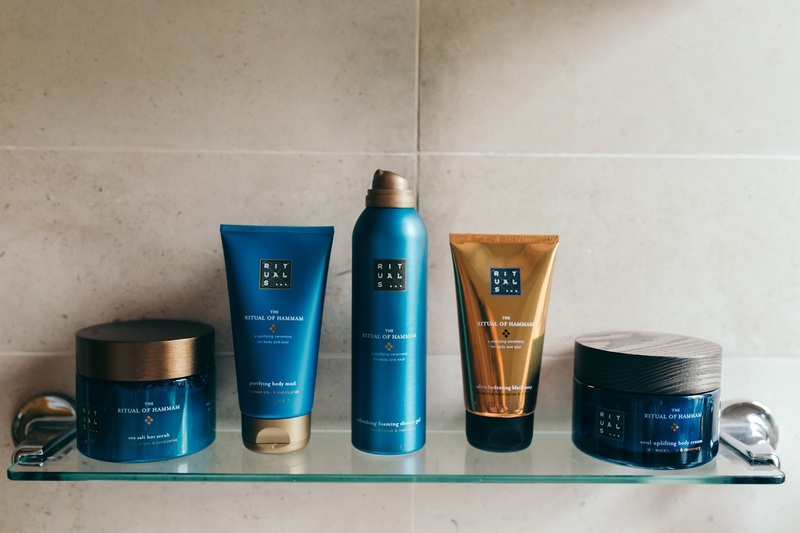 Discover more about how to best use these products on Rituals’ YouTube Channel. 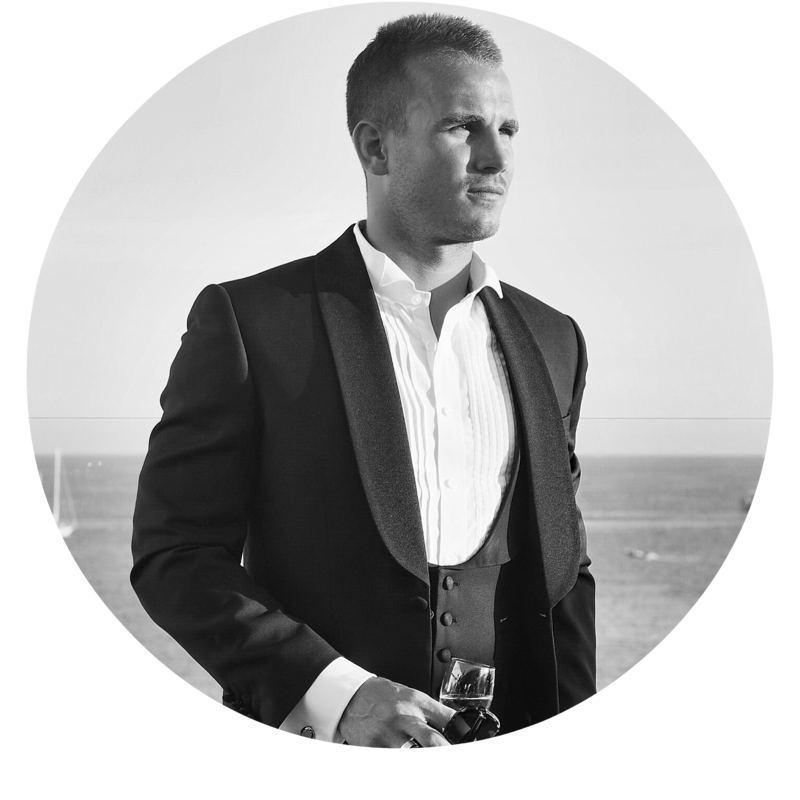 *This post was written in collaboration with Rituals, however all thoughts and views shared are my own and that of Man About Town. I've got to try these! !